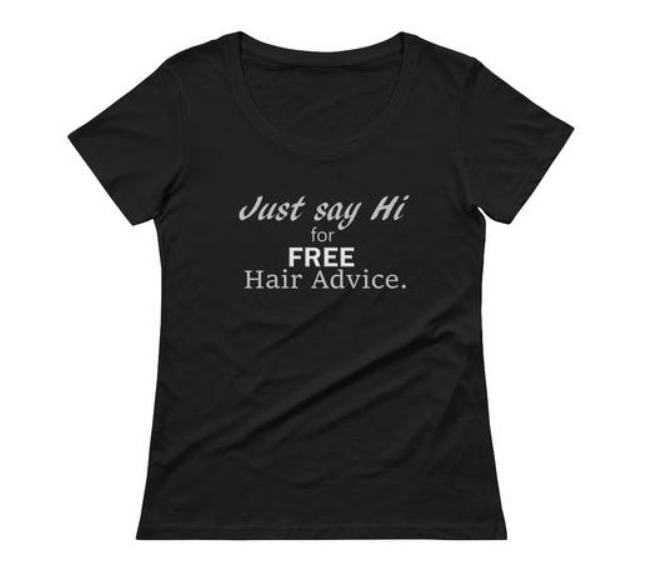 Bet you have never heard of hairstylist marketing shirts! It's something I came up with one when trying to break the code on marketing your hair career. You grab your business cards, get dolled up and go out trying to approach strangers to get a card in their hand. It is absolutely NO fun, and honestly, how effective is it? I mean, does just handing out your card really work? What is missing is ENGAGEMENT. You need a potential client to be attracted to you, to feel like you can do something special or different for them. The best way to do this is by performing a mini consultation on the spot. But still, I'll admit it's difficult to approach people in the first place to begin the talk. So here is a fresh, new approach for you! When your book needs a boost, get dolled up but with your new hairstylist marketing tshirt. The beauty of this tactic is that the tshirt is a real conversation starter. It turns the tables and invites those that are REAL potential clients to approach YOU. Women LOVE to talk about their hair, as we know. These hairstylist marketing tshirts give them the opportunity. 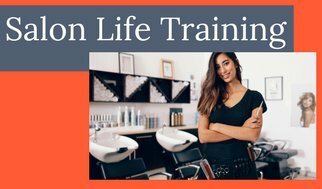 Here is your NEW way of marketing your hair career! Get dressed up Like The Clients You Want to Attract. Wear your hairstylist marketing tshirt! Pack your hairstylist business cards. As we covered in Portfolios, have a photo portfolio on your smart phone or tablet. ( A tablet would be best for the size of the images.) Be sure to have specific categories like Bangs, Color, Balayage, Color Melt, Cuts, Texture, Braids, etc. Now go out to places where "your perfect clients" will be. Learn how to find them here. Be visible, be approachable, be happy and likeable! When someone asks you about your shirt start your mini consultation like you would in the salon. Be very interested in them and their hair. Pull out your digital portfolio and easily go to the section you wish to showcase. Show her this awesome color that flatter her. Tell her how you use Whatever product line and your results are fabulous. Give her your card and tell her she can find you on Facebook to see more of your work!